The Alumni Association welcomes American Greetings as its third corporate chapter. It joins the Forest City Enterprises chapter, which just celebrated its first anniversary, and Sherwin-Williams, which established a corporate chapter in 2014. American Greetings, which recently moved its corporate offices from Brooklyn, Ohio to Crocker Park in Westlake, employs some 125 CSU alums. Forest City employs some 60 CSU graduates in Cleveland and nationwide, while Sherwin-Williams employs more than 650 alums. The American Greetings chapter launched this summer with an alumni lunch at corporate headquarters. Alums, who had been meeting independently under the leadership of Camille Davis, MBA ’15 and Kelli Snowgold, MBA ’12, were presented with a plaque recognizing AG as an official chapter. Chapter members recently toured the CSU campus; other events are being planned to promote networking and volunteerism that foster collegiality and strengthen alumni engagement. Among the activities in its first year, Forest City held a celebrity happy hour at Lincoln Taphouse in Tower City with company executives serving as bartenders and all tips benefitting CSU’s Lift Up Vikes Food Pantry, which assists students in need. “Community involvement is a core value of Forest City. 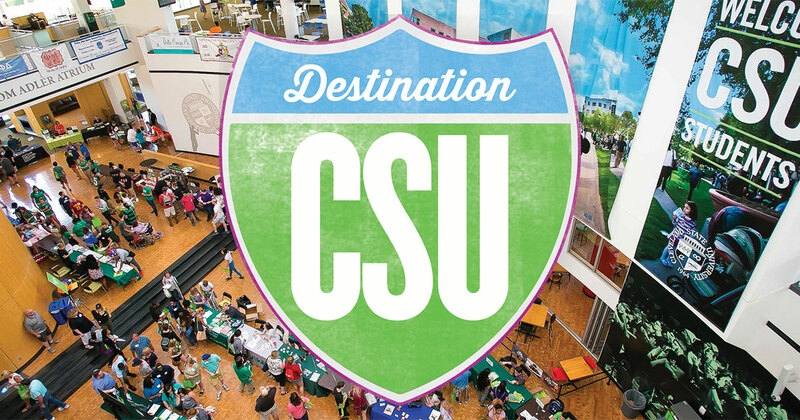 CSU’s downtown campus is our community neighbor and the alumni chapter allows us to connect to the students and energy of the campus. The Forest City alumni chapter is very proud of CSU and its students’ accomplishments and wants to help in any way we can to continue that success,” say Cathy Rodjom and Patricia Sweeney, Forest City alumni chapter co-leads. Want to host a corporate breakfast with CSU alums or start a CSU alumni corporate chapter at your workplace? We’re happy to assist. Contact Emily Cole at e.s.cole@csuohio.edu or 216.523.7173.